On the 24th of January rector of Ivan Franko Lviv National University, Corresponding Member of the National Academy of Sciences of Ukraine, Professor Volodymyr Melnyk met with Ambassador Extraordinary and Plenipotentiary of Italy to Ukraine Davide La Cecilia. In terms of friendly conversation, the sides discussed the perspectives of broadening the cooperation between University and Embassy of Italy in Ukraine as well as the ways of further development of Italian Studies at the Ivan Franko Lviv National University. 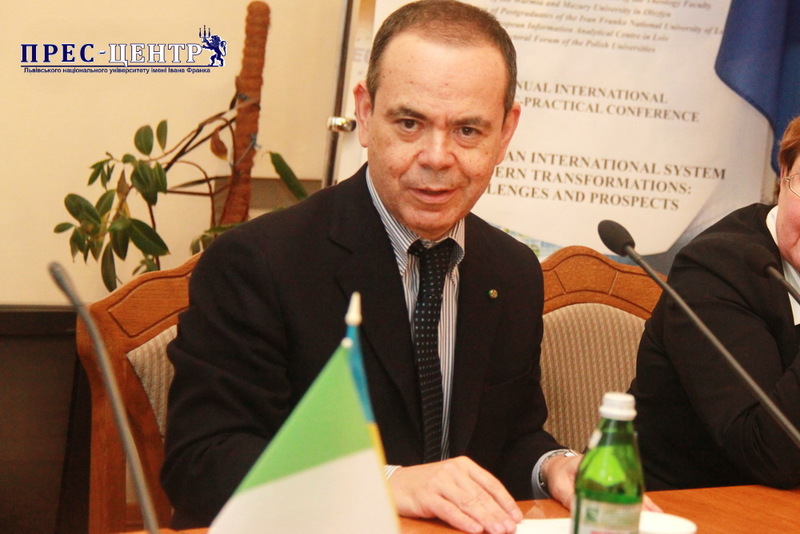 Special attention was paid by the Rector to the necessity of providing lectures in the Italian language at Lviv University. Davide La Cecilia also visited the Center of Italian Language and Culture of the University where he held a conversation with the working staff of the Centre about the forms and ways of future cooperation. Trying to complete the interpretation of the interaction between the Embassy of Italy and the University, the Sunday Library of the Italian Language and Culture Center was replenished with new receipts. Photo from the archive of the Press Center.